Otoplasty is done to set back prominent ears. 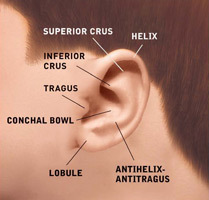 In general, this procedure can be performed through an incision in the back of the ear. 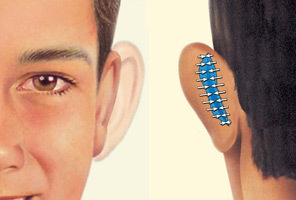 Permanent sutures are placed to reshape the ear. This is usually performed on an outpatient basis under local with sedation or general anesthesia. The surgery usually takes about 2 to 3 hours. 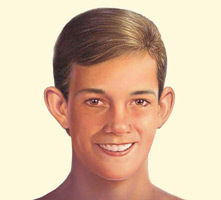 Postoperatively, a bulky dressing will be placed to promote the best molding of the ears. This will be replaced by a lighter dressing within a week.